TAOISEACH Leo Varadkar has said the Government cannot commit millions in taxpayers' money to the FAI unless they have confidence the organisation is being run properly. Mr Varadkar cast doubt on whether the Government would be providing grants for the some of the Euro 2020 Games that are to be held in Dublin next year. 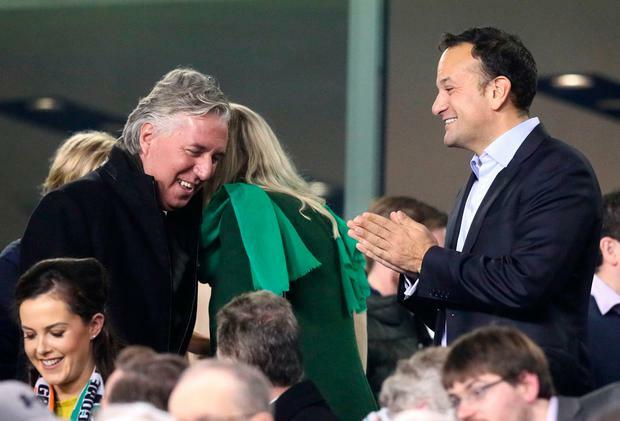 He told the Journal.ie that the general public, taxpayers and football fans "would have liked to hear him answer some of the questions that are still unanswered" when asked about John Delaney's appearance at the Oireachtas Committee last week. "We've plans to fund them for the Euro 2020 Games that are going to happen here next year which are going to be on in the Aviva and I'm really looking forward to, so we want to be still part of that but we can't continue to commit millions of euros of taxpayers' money unless we're confident that that organisation is being run properly and it's obeying company law and corporate governance rules and all the things you'd expect an organisation to do," Mr Varadkar said. "So Sport Ireland, which is the Government body through which we fund sport will be doing an investigation and providing the FAI can get its affairs in order, would be able to restore funding and that's where we want to be I suppose," he added.